The Gaff Blog does not own this image. Receipt says “LOL” where people would normally write in the tip. To the right says “1 hour for food.” The bill was $112.03 for eight people. A waitress in New Jersey was not given a tip for a $112 bill, which was for a table of eight people. 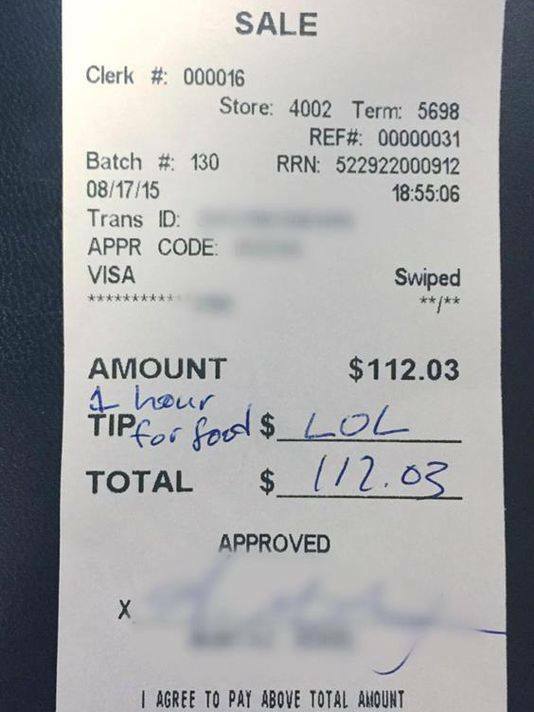 Instead of leaving the tip portion of their receipt blank, the customers wrote “LOL” and to the right wrote “1 hour for food” which I would assume means they waited too long to tip. The 20 year old waitress at D’Jais Bar & Grill was waiting tables for the summer to pay for school at Rutgers University. Now I will not be a hypocrite and say I do not get mad at bad service at a restaurant but I do not punish my waiter or waitress for things that are out of their control. Unless you see your waiter/waitress doing double duty in the kitchen do not be a jackass and not tip. And if they are doing double duty, give them a pat on the back for me. I also understand that communication comes into this situation. Did the waitress let them know of the kitchen being behind? I do not know. I was not there. Even when my service is deplorable I leave at least $1. Because people have bills to pay. 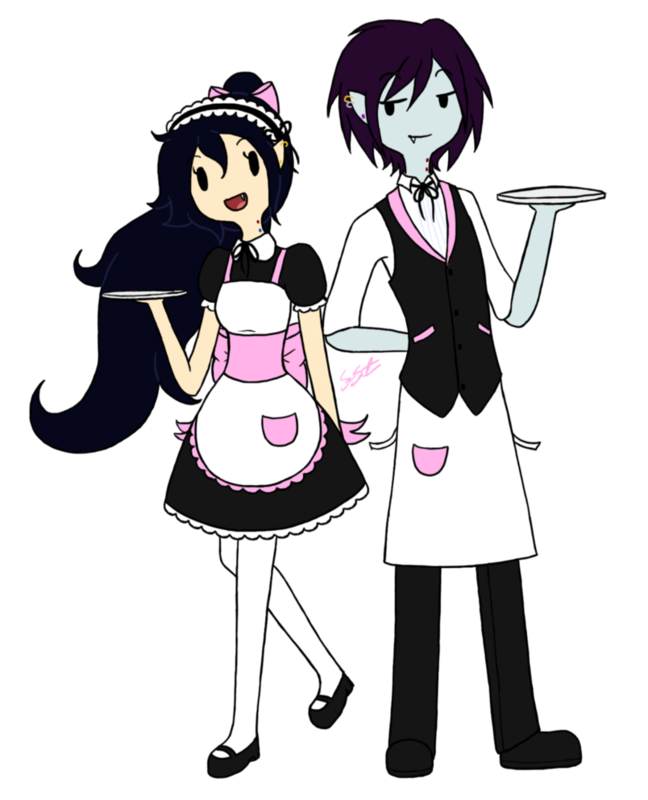 Your waiter or waitress is a person too and they are not always putting on their best face or having a good day. I am very forgiving. Some people are not this nice. But I still keep my composure and give the waiter or waitress their fair share of money. Don’t treat the person doing their job as a slave. Show the Gaff Blog some love by liking and sharing this post. Yea, they has paid tho.